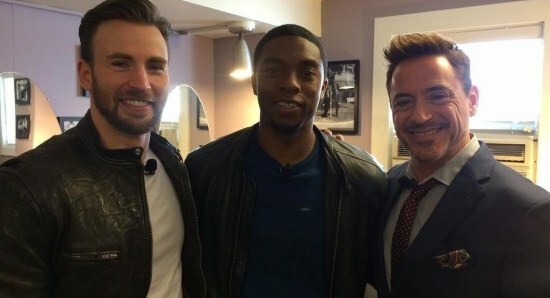 News » Chadwick Boseman and Halle Berry to see Black Panther and Storm romance in the MCU? Could we see Halle Berry returning as Storm? Will we see Storm and Black Panther in a romance? The Marvel Cinematic Universe has grown into a huge force in Hollywood over the years, bringing us some of the biggest movies to ever hit the big screen, with plenty more lined up for the next few years. While the Marvel Cinematic Universe already has a number of new movie projects coming our way, we can no doubt expect plenty more to be announced now that the X-Men are expected to join the MCU in the near future. With that in mind, it is going to be interesting to see how they integrate the X-Men into the Marvel Cinematic Universe, with a number of different routes they could go down. They could continue to make X-Men movies separate from the actual MCU movies, or they could just chuck a lot of the X-Men big players into their already huge universe from the off. However, they could also drip feed the characters in one by one for the time being. One thing we think would be great, is to slowly bring in the X-Men characters by making them appear in some of the standalone movies which are coming our way. With Black Panther set to become a big player in the Marvel Cinematic Universe, we think it would be great to bring Halle Berry back as Storm and have the two characters embarking on a romance together, since that is something which has happened in the comic books. With that said though, there has still been no official word about what Marvel are going to do about the casting of the X-Men characters, whether they are going to bring back the older stars, stick with the younger stars, or recast the characters all together. We think bringing Halle Berry back as Storm is a great way to go but we guess we will just have to wait and see. Aaron Taylor-Johnson vs Evan Peters: What will happen to Quicksilver in the MCU?